Directed by Shaleece Haas (left), the documentary Real Boy offers an intimate portrait of California transgender teenager Bennett Wallace (right). The documentary follows the singer-songwriter’s transition, which he undertakes at the same time as his best friend. 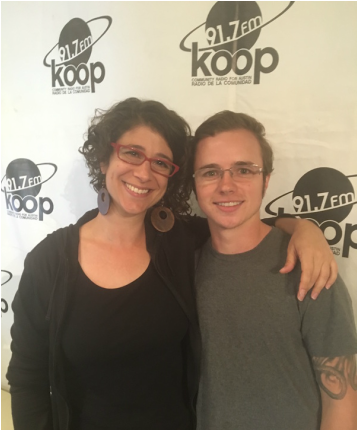 Real Boy also examines Bennett’s relationship with his mother Suzy, who struggles to understand his transition from Rachael to Bennett, as well as his friendship with transgender musician Joe Stevens. The documentary, which will screen 7 p.m. Sept. 8 at the Alamo South Lamar, opens this year’s Austin Gay & Lesbian International Film Festival.